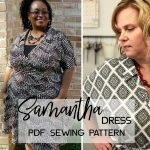 In this part of the Samantha dress sewalong, I will be talking about lengthening or shortening the bodice of your dress. But before we dive into the adjustments, let me explain what I mean by that. To achieve a more flattering silhouette, the waistline on your Samantha dress is designed to sit on your natural waist. Our natural waist is the smallest part of our torso. (If you don’t know where that is, a trick to find it is to bend your torso on the side. The soft spot when you do that, is your natural waist). 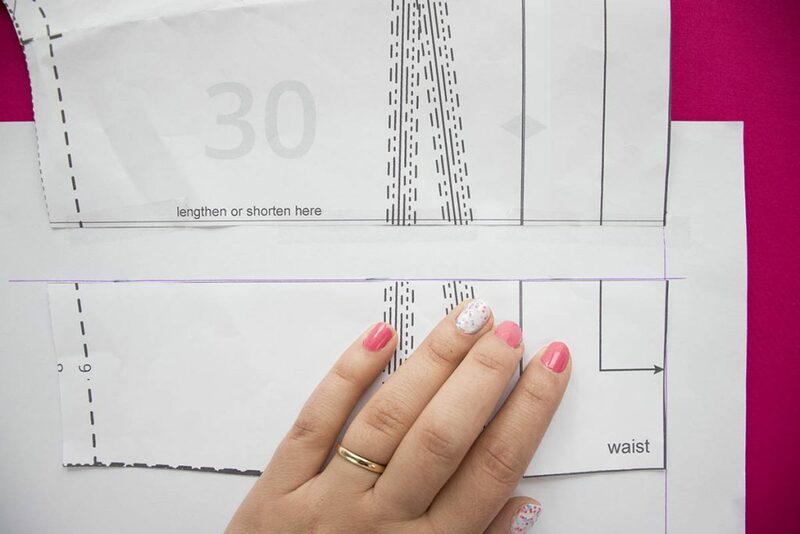 My patterns are drafted for an average woman of 1,60-1,65 meters, but because we are all so unique and have different bodies and different proportions, it is not possible to draft a pattern that will perfectly fit everyone. Some people have longer torsos, which means that their natural waist might be lower, while other people have shorter torsos, which will result in the natural waist being higher. 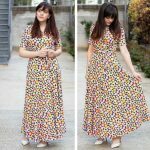 Thankfully, being a seamstress who makes her own clothes means that you can tweak things before you start sewing, to achieve that perfect fit for your unique proportions. 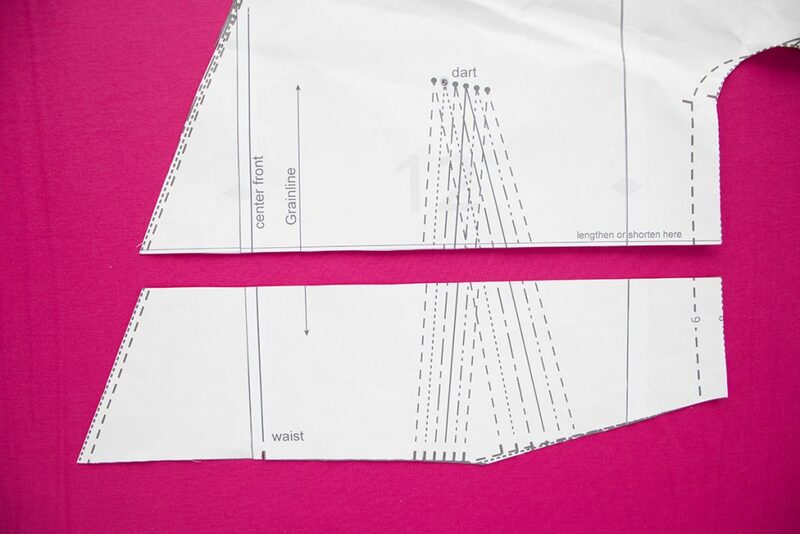 And this starts from the pattern pieces, which you can adjust beforehand in order for the Samantha dress to sit perfectly on your natural waist. 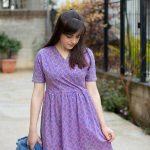 Before we start, you need to remember that you are the one who decides where you want the waistline of your dress to fall. 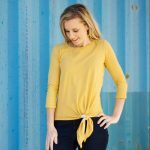 This is a personal preference and it depends very much to what makes you feel more comfortable and which part of your body you want to enhance. 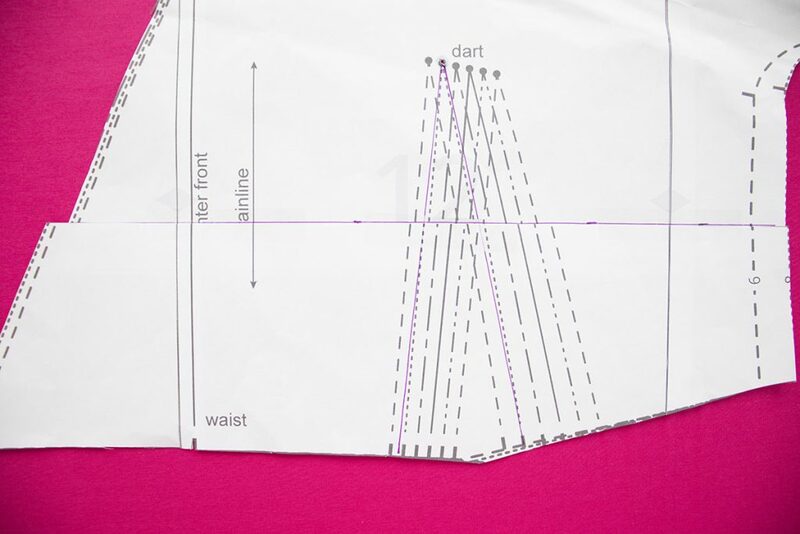 The best way to figure out what adjustments you need to make, is to sew a sample, aka toile. 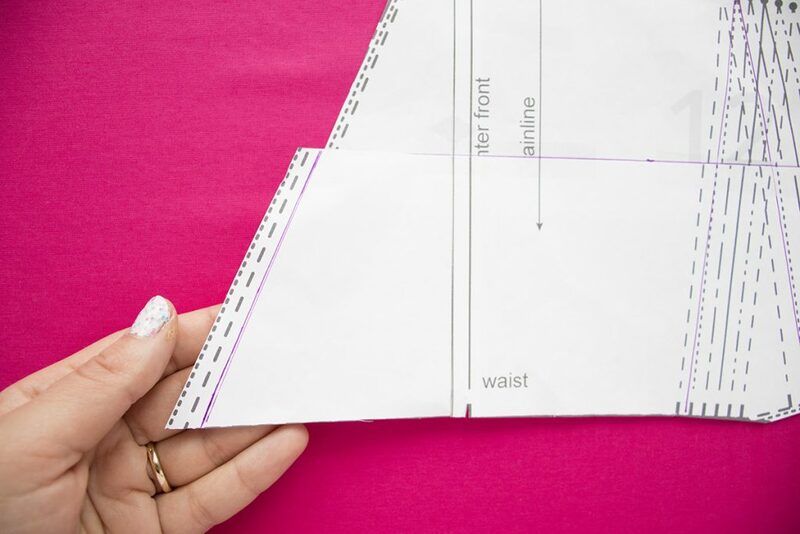 If you don’t have the time to do that, you can place the pattern pieces on your body in front of a mirror and figure out how much you want to shorten or lengthen the bodice of your dress. 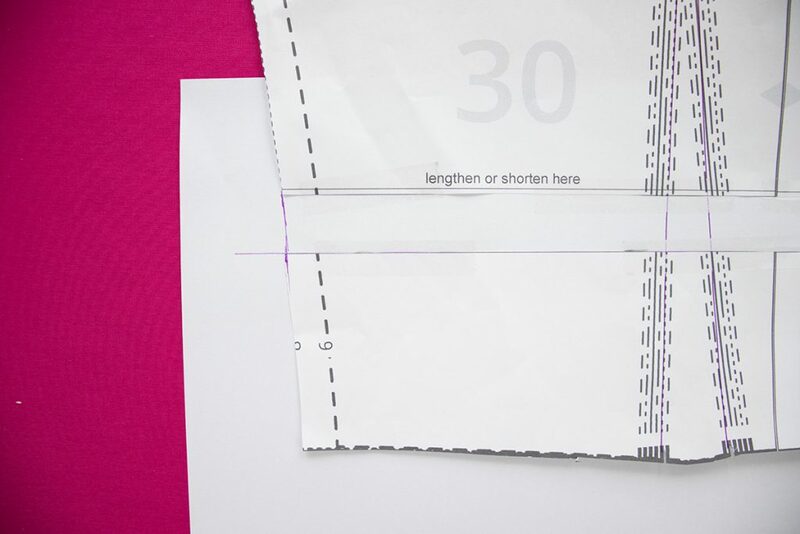 If you take a look at both the front and back bodice pieces, you will see that there is a shorten/lengthen line marked on them. This is the line you want to cut first, before you make any adjustments. For this example, we will suppose that you need to lengthen the bodice by 2 cm. 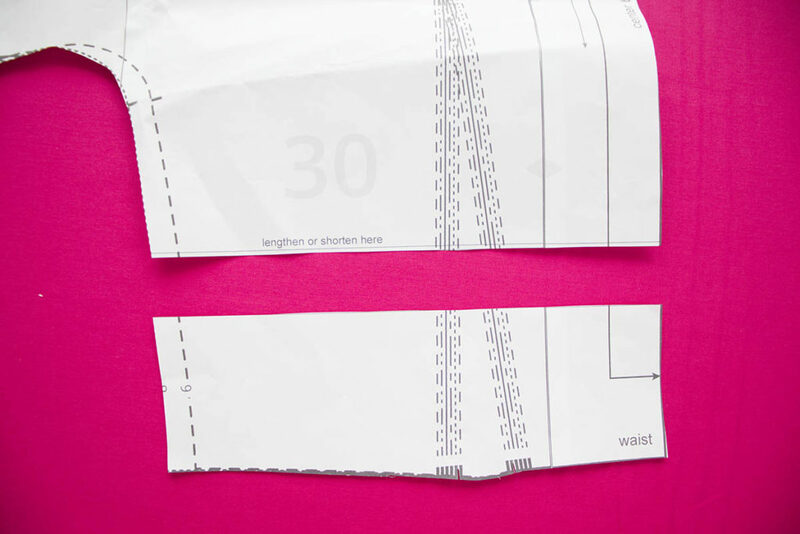 Cut along the shorten/lengthen line on your bodice pattern piece and place a piece of paper underneath it, as shown in the photos. Tape it down so it doesn’t move around. 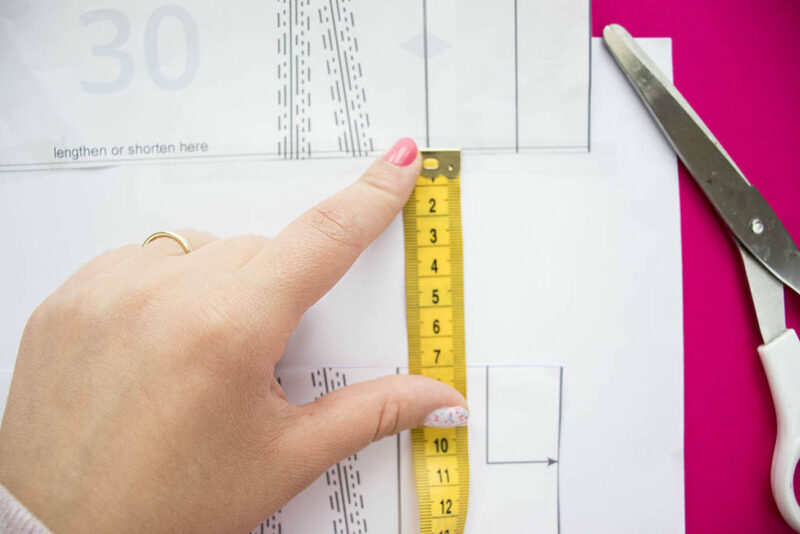 Take your measuring tape or ruler and measure 2 cm from the top piece. 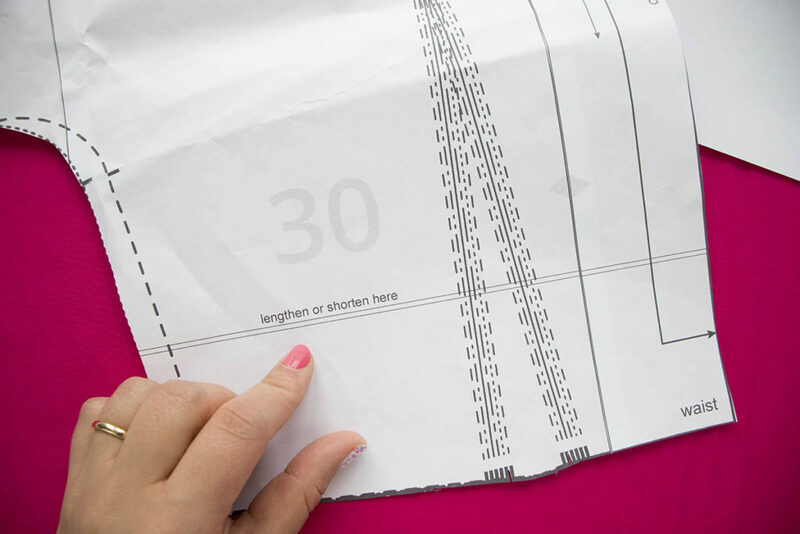 Draw a line to help you position the bottom pattern piece correctly. 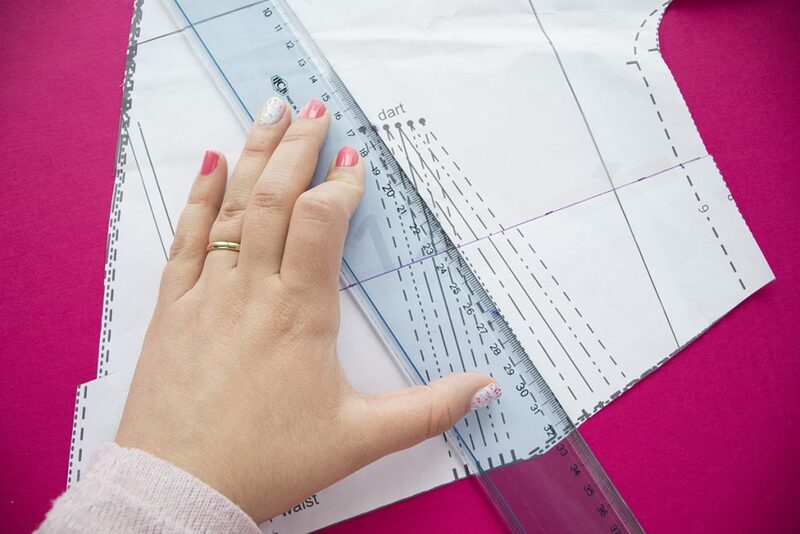 Using your ruler, extend the center front line as well, as shown in the photo. Now you will position the bottom piece on the horizontal line you drew, making sure that the center front line aligns as well. Tape the bottom piece to prevent it from moving. Next you will have to redraw the dart. Find the tip of the dart and the dart notches that correspond to your size. 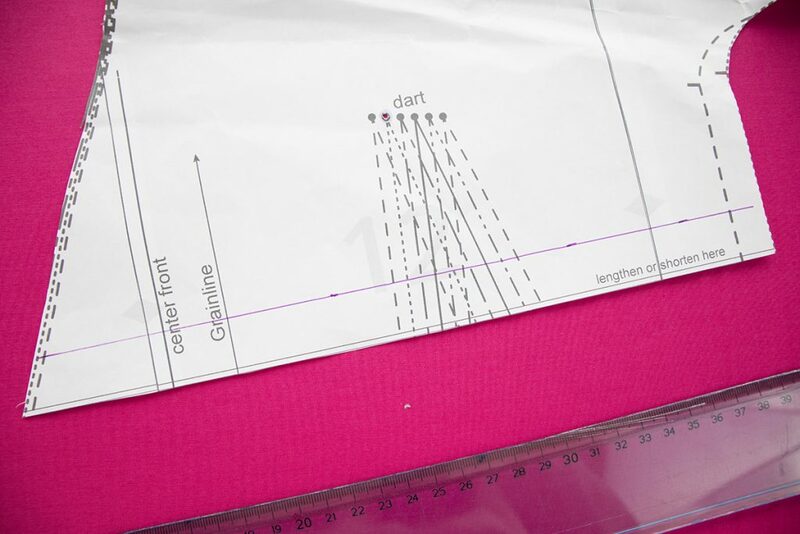 Using a ruler and a marker draw a new line from the tip of the dart to each dart notch. These will be your new dart legs. 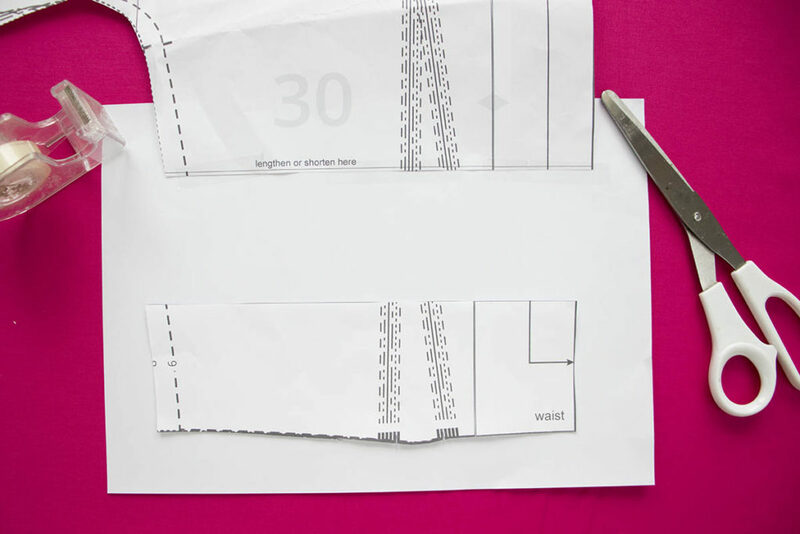 Draw a new line for the side seam and cut the extra piece of paper. And this is your new pattern piece, lengthened by 2 cm. 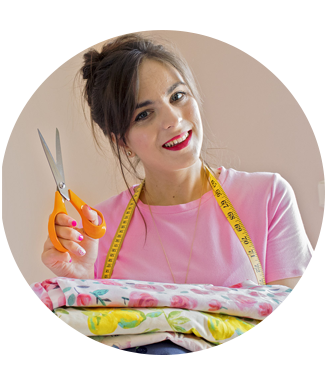 You will obviously have to make the same adjustments to both the front and back bodice pieces. 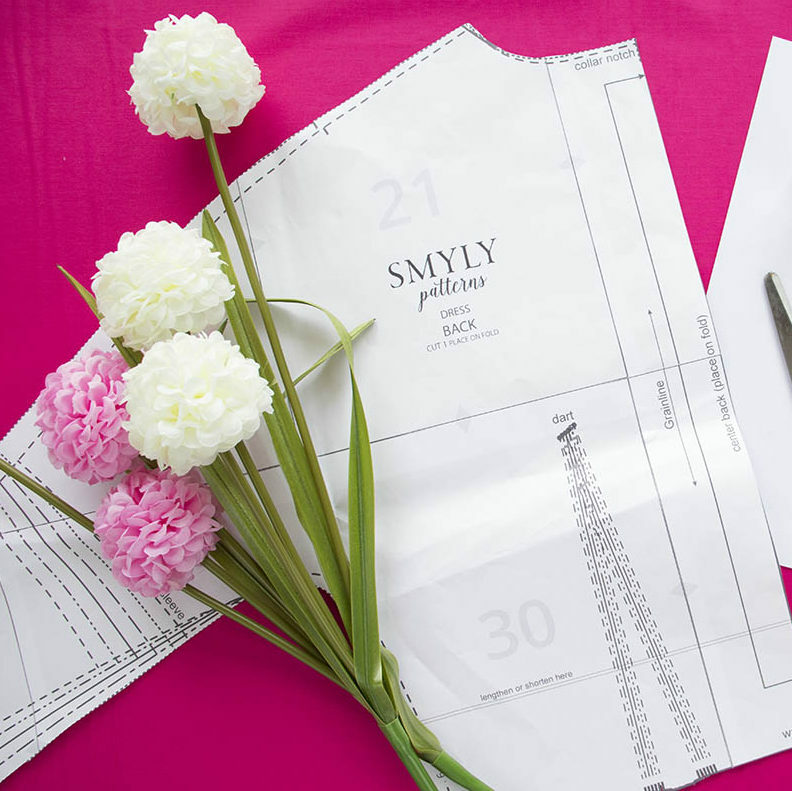 You will follow the same process, but instead of adding an extra piece of paper, you will overlap the existing pattern pieces by X amount. 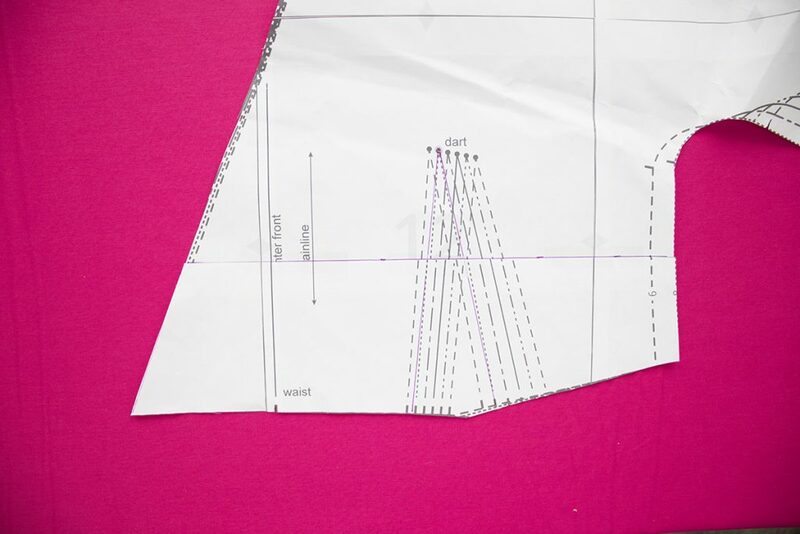 For this example, we will be shortening the bodice by 2 cm. 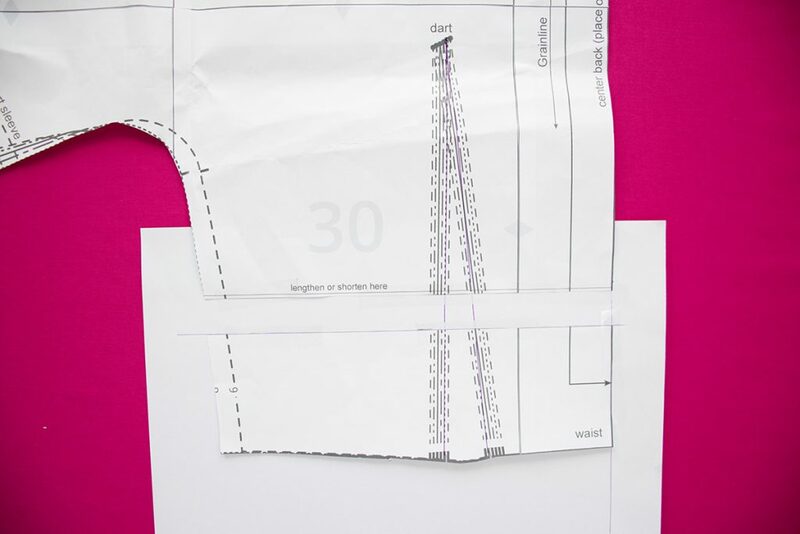 Cut along the shorten/lengthen line on your bodice pattern piece. 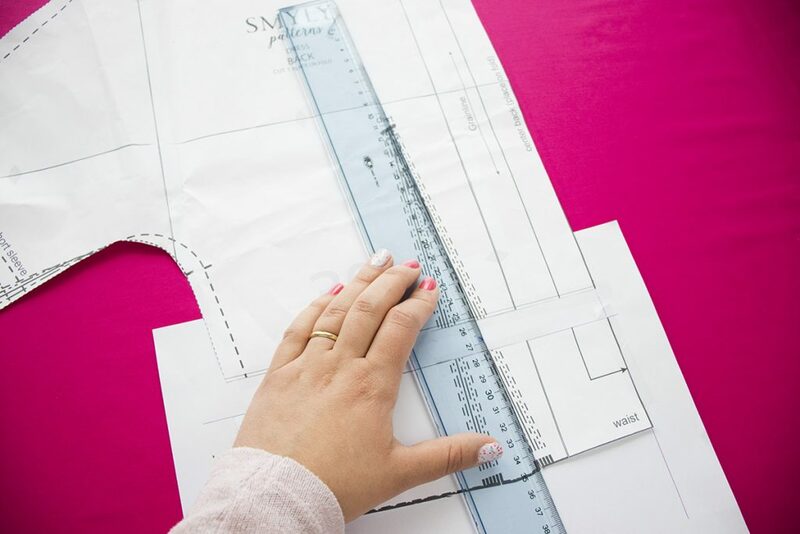 On the top bodice piece, measure 2 cm from the shorten/lengthen line and using a ruler, draw a straight line as shown in the photos. 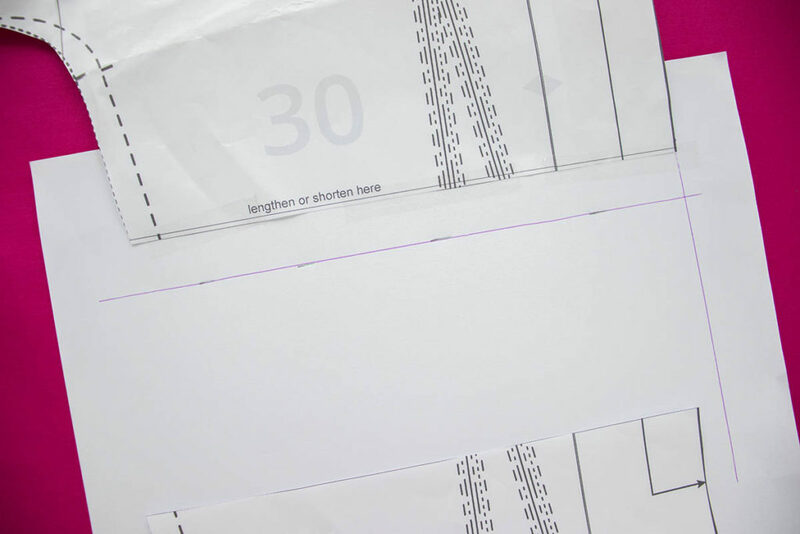 Now take the bottom piece and place it on the line you drew, making sure that the center front line is aligned. Tape it down. You will then have to redraw your dart. Find the tip of the dart and the dart notches that correspond to your size. 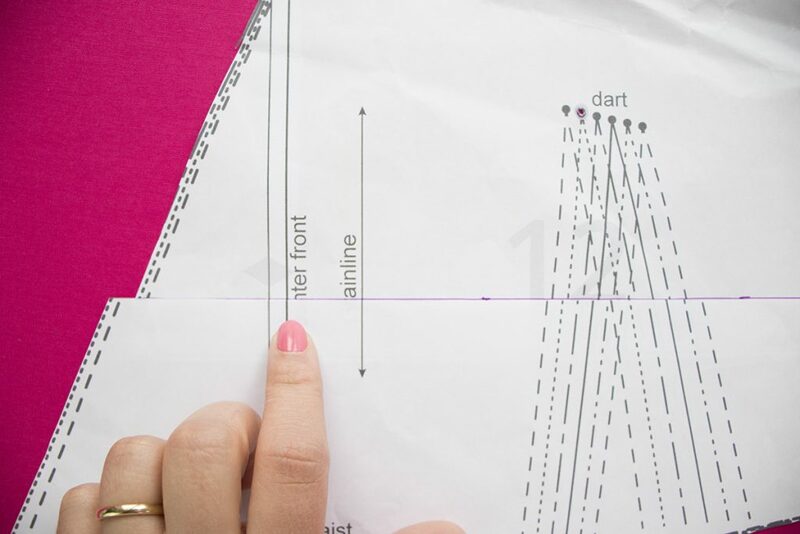 Using a ruler and a marker draw a new line from the tip of the dart to each dart notch. These will be your new dart legs. As you can see, we have some excess at the side. 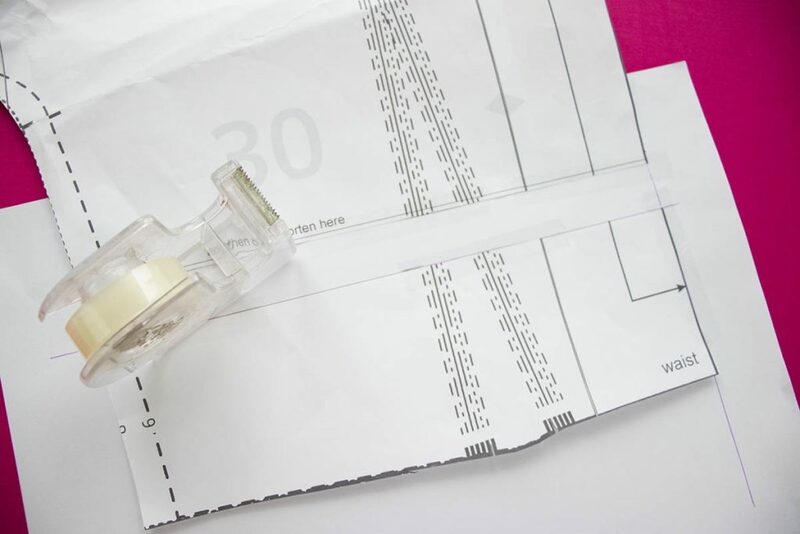 Using your marker and your ruler, draw a new line and cut the excess paper off. Your new shortened bodice is ready. Easy, wasn’t it? If you have any questions in regards to this tutorial, please leave me a comment below or contact me via e-mail.